Move over Grammys artists, because the show just got swept out from under your feet. Every year, people wonder what will be the most impactful part of the Grammys. Will it be Post Malone performing with the Red Hot Chili Peppers? Or whatever Cardi B does? No need to wonder anymore, because it won't be either. In fact, the biggest moment of this year's Grammys won't be a performance of all. That's right, BTS is presenting at the Grammys. This will be the first time BTS has attended the Grammys and the first time that they've presented an award at a stateside event. It's a dream come true, especially for Suga. Fans, of course, remember BTS's 2018 appearance on Jimmy Fallon where Fallon asked the boys what they want to accomplish going forward. Suga adorably replied, "Go to the Grammys." It's honestly hard to watch him answer without a big silly grin on your face. And now it's finally happening! While we don't know what award they're presenting yet, some lucky artist is going to get to spend one of the best moments of their life alongside BTS. Hopefully they'll appreciate the honor. BTS is also nominated for their first Grammy – Best Recording Package for Love Yourself: Tear. And while they should be nominated in most categories considering all the amazing work they've done this past year, it's still great to see our favorite group getting recognition from the American music industry. 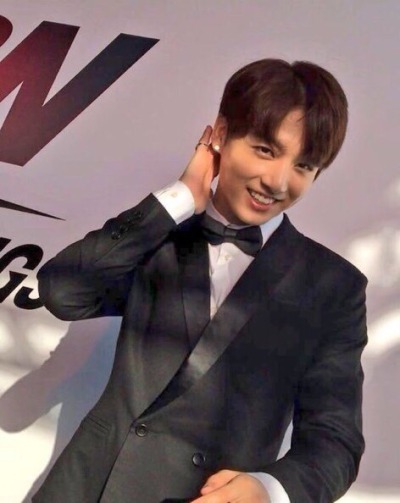 Plus, they're definitely going to be wearing fashionable suits on stage, and who can resist Jungkook in a suit?